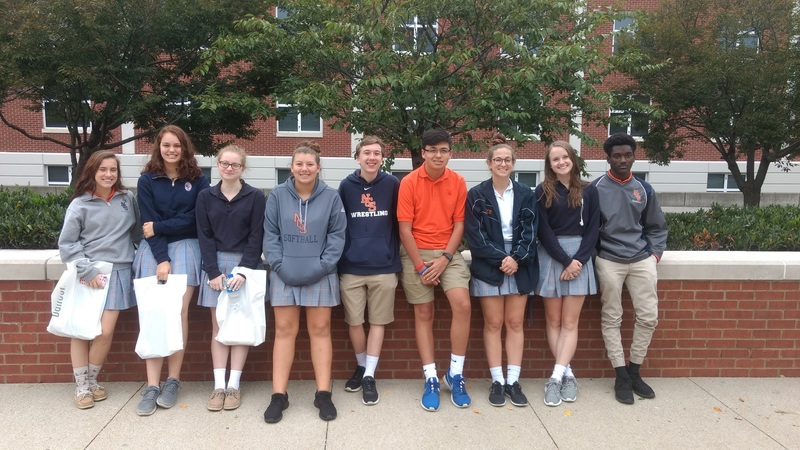 On Monday September 11, 2017, the NCS Journalism and Media & Broadcasting students took a field trip to the THSPA Student Media Fall Workshop at Lipscomb University. The reason for this trip was to help the students learn more about the subject and introduce them to new types of broadcasting. The students started off the day by first hearing a keynote speech by Rory Johnston from News Channel 5. After that speech, students attended the first of three breakout sessions. They got choose from among the option of many classes offered throughout the day like “Social Media: Tips, Tricks, and Advice” which showed you how to use social media to find a good story. This particular session was presented by Whitney Matheson, the journalist-in-residence at Middle Tennessee State University. Another session that a few of the students went to was “Interviewing” which was presented by Rachel Wedding McClelland, director of communications for UT Law. Students learned how to properly ask questions to someone being interviewed and how to keep a conversation going. After the second breakout session, everyone was let out to go eat lunch on Lipscomb University’s campus. Following lunch, the third breakout session began and several NCS students went to “Finding Features in Ordinary Place” which was presented by Leon Allgood, associate professor in MTSU’s journalism department and recent inductee into the Tennessee Journalism Hall of Fame. This was the favorite session for some students because it gave them insight on more stories for their papers and yearbooks. After the final seminar, everyone loaded back onto the bus at 2:00 and headed back to NCS.